Google's share price reached an all-time high Tuesday at $518.84 with the announcement of a new partnership with marketing software maker Salesforce.com. Google, the #1 search engine, seems to defy every Internet law of gravity. 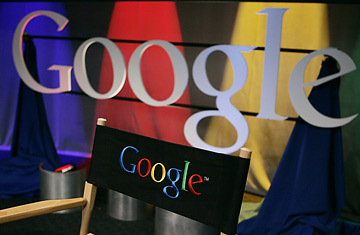 But one question arises with each subsequent record-high share price: is it possible for Google to get any bigger? According to Hitwise, for the four weeks ending June 2, 2007, Google accounted for 64.8% of all executed searches in the U.S., triple that of its nearest competitor Yahoo! Search, which achieved 21.7% of all searches in that same time period. Tech pundits (this author included) have long theorized that there must be a saturation point for Google's role in our quest to find information on the Internet. We just don't have a clue as to where that point may be. We've pondered the possibility of slips in dominance with the release of a new competitive offering, but that hasn't happened. We wondered if integration of MSN's search offering with the new Vista operating system would affect Google's share of search  not really. Google's role in our Internet use has become ubiquitous. However, for all of its success, Google's online dominance has been limited to search. In web-based e-mail, for example, Google's service, Gmail, is in a distant fifth place to leader Yahoo! Mail, which is over 12 times the size of Gmail in terms of visits. Google has barely made a peep in social networking; MySpace, the #1 social networking site, is over 300 times the size of Google's Orkut service. Even mainstream information such as Google Finance is an order of magnitude smaller in visits than the industry leader in financial information Yahoo! Finance. Google's most promising growth strategy may be in acquiring industry leading sites versus building a home-grown solution. Take the October 2006 acquisition of YouTube  only $1.65 billion and you've instantly become the industry leader in online video sharing. The combined offering of YouTube and Google Video represents over 51% of all multimedia visits in the U.S.
With deep coffers and the expansion of its primary search business showing no signs of slowing, there really is no telling how big Google can become. In researching this column I tried googling the question, ironically the results weren't of much help.